More than half of the states in this country are currently fighting to mandate GMO labeling; if voters say yes to Initiative 522, Washington could be the first in the nation to force companies to give consumers some sort of clue if what they are eating has been genetically modified. Now Bloomberg is reporting that Monsanto and DuPont, two of the nation’s largest producers of GMO seeds in the U.S. have given a combined $8.7 million towards I-522’s defeat — nearly half of the $18.1 million raised against the labeling initiative so far. This should come as no surprise, considering the two biotech giants also happened to be the two biggest contributors toward the defeat of California’s similar prop 37 labeling initiative last year. Five million is more than Monsanto has spent lobbying the government thus far this year, which is about $3 million (although the year is not over yet). Since tossing their millions into the anti-labeling pot, I-522’s 45% lead in the polls has dropped dramatically to a depressing 4%. Why are these food companies so utterly unwilling to just tell their customers what is in the food they are selling? Many of the businesses on this list have also dropped GMO ingredients in Europe because of such strong opposition and labeling laws; but apparently here in the good ‘ol U.S.A., it’s cheaper to just keep putting GMOs in the food and not telling anyone about it. Why? Because they know they can get away with it here. Ultimately, these mega food conglomerates know they can save money in the long-run by buying a bunch of anti-labeling propaganda to fool voters to upholding these companies’ ability to keep right on using cheaper (and potentially dangerous) ingredients without admitting it. It’s a financially safer bet to make than not getting involved and possibly losing the GMO labeling fight. If people actually knew how much of the average American grocery store has been genetically engineered — some estimates say as much as 90% — there might be an uproar leading to a real food revolution where companies would be forced to spend more money using better ingredients in their products. That’s the only thing that makes any sense; otherwise, why are major biotech companies like Monsanto and DuPont and their major food company customers so blatantly afraid to allow for labeling? So scared that they are willing to shell out millions upon millions of dollars to keep from having to just label already? If these companies are so proud of their wonderful products, shouldn’t they be thrilled to have the ingredients clearly listed for everyone to see? Why is this even a fight? It’s a basic right we’re talking about here. The argument for labeling GMO doesn’t even have to be health and safety related at this point (even though independent studies — as in the ones not bought and paid for by the very biotech companies that stand to profit from positive results — show a whopping 65 health risks associated with genetically modified foods). If you buy something you are going to put not just on but into your body, something that could have consequences on your health now or in the future, you have a right to know what’s in it. Period. It’s about being allowed to know what is in your food and the food you feed your family, your children. That way you can make an informed decision about whether or not you actually want to eat that. If you do, fine. If you don’t, however, that should be fine, too. Either way, the decision should be yours — and right now, it isn’t. Sadly, we live in a society where people have just grown so accustomed to being forced to do things whether they like it or not. We’re forced to be treated guilty until proven innocent when we go to an airport and subject ourselves to TSA molestation and radiation just to get on an airplane in this country. The government is about to force us to buy health insurance and buy into the allopathic medicine system (health insurance, by the way, that it helped create with the very pharmaceutical and insurance companies who stand to profit from it in backroom, off-the-record deals). When it comes to our food, we’re apparently just expected to sit there and swallow it, no matter what “it” actually is. Food packaging and labels change all the time for even pointless aesthetic reasons with little-to-no care for costs. These companies know, and common sense makes it abundantly clear, that adding one little line of printed text to inform consumers that their food has been genetically altered in and of itself will not shave much off the bottom line (if at all). While these companies threaten that prices will go up if the ingredients changed, it’d only be in the short term because if the majority of people in this country actually demanded better food and not nutritionally vapid junk, the price of that better food would actually go down. The real financial detriment to these companies is people actually being allowed to make an informed decision not to eat something if they don’t want to. If given that choice, these companies ultimately know what everyone should by now — that a lot of people probably won’t want to knowingly eat it. 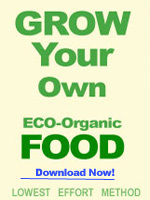 More people just might begin turning to certified organic, or worse for these mega corporations, we as a nation might begin to reverse the dangerous trend of centralized food, where something like 96% of the entire population is entirely dependent on the other 4% to grow and supply them with their food. People might start putting their money where their mouth is, literally — voting with their dollars. Boycotting the unpalatable. Forcing accountability. Taking a little bit of their own power back and growing more of their own food. A true movement that could really start to turn things around in the United Corporations of America. Of course, with a former Monsanto Vice President of Public Policy as our current Food Safety Czar and people oh-so-willing to allow biotech-bought propaganda to do their common sense thinking for them, I guess we really shouldn’t get our hopes up too high. Be the first to comment on "Monsanto and DuPont Spent Nearly $9 Million to Defeat GMO Labeling in Washington"